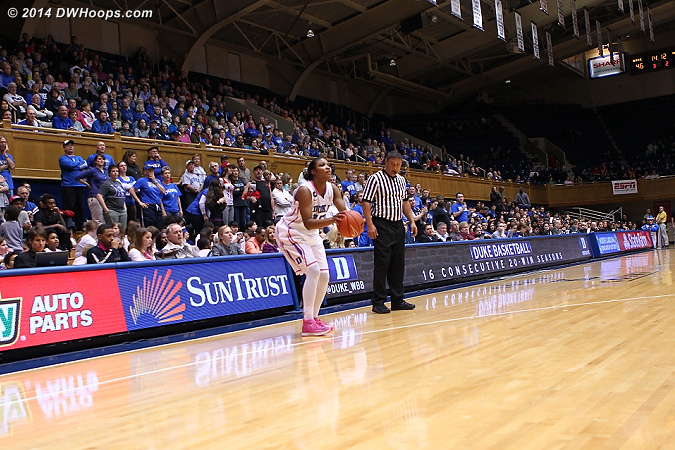 All photos are published, captioned, and tagged. 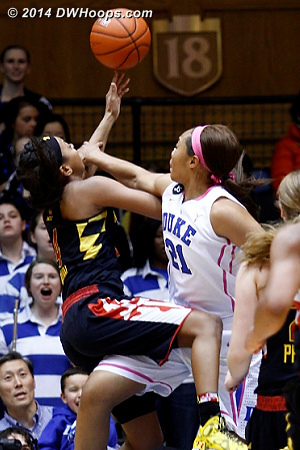 Player and other galleries are similarly updated. 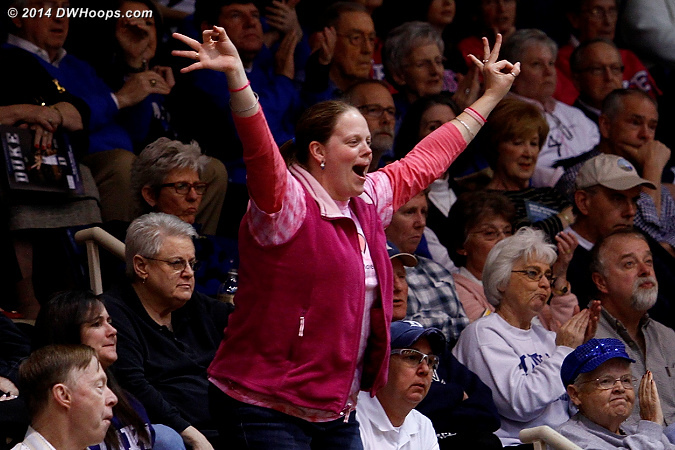 As usual, our members get more, so join now! 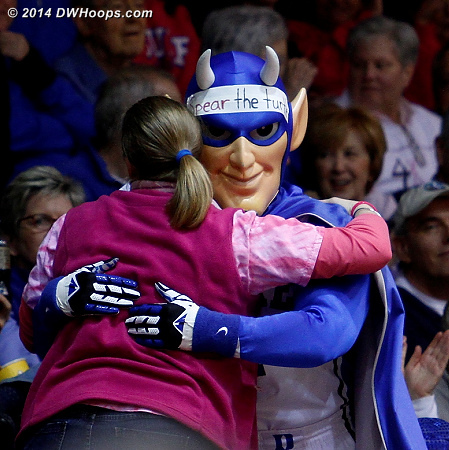 Now Molly has won Fan of the Game! 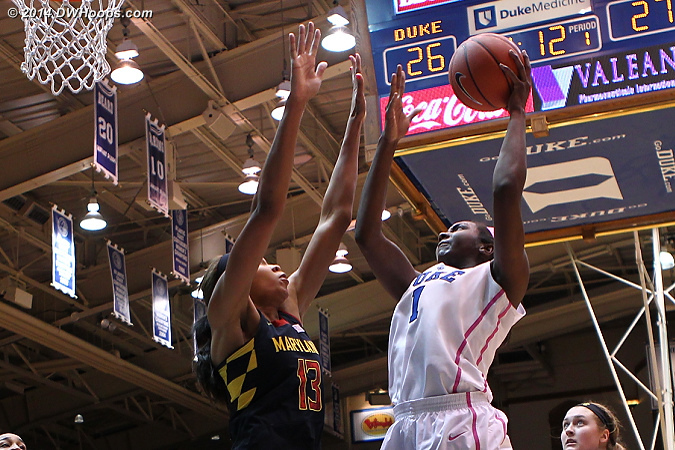 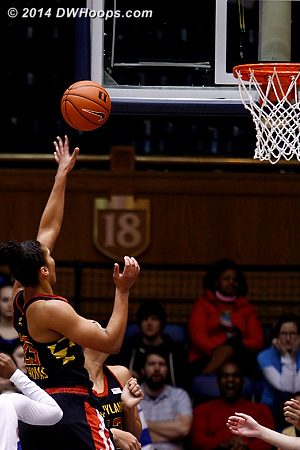 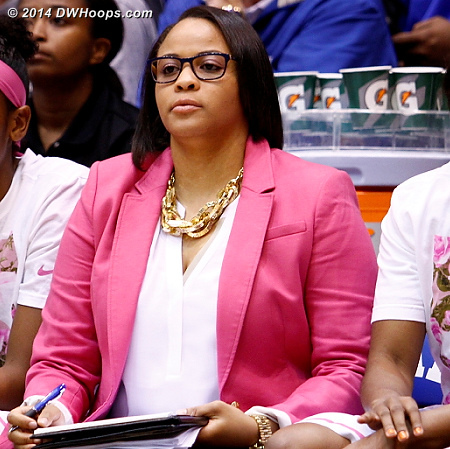 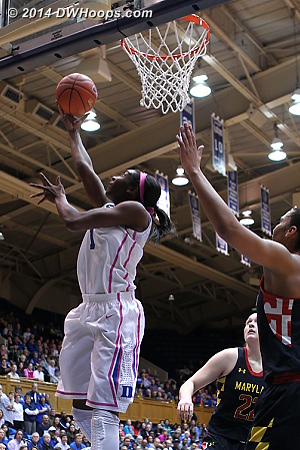 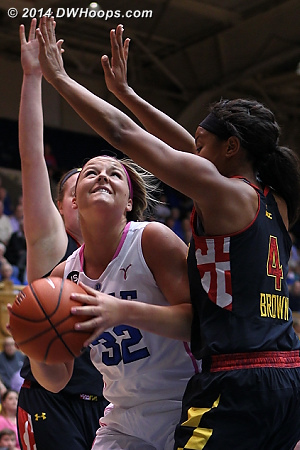 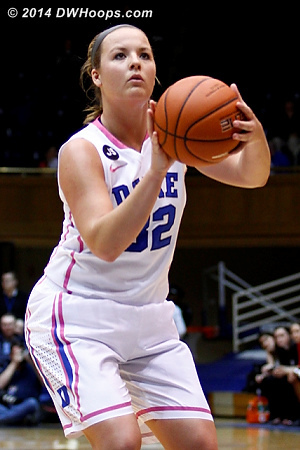 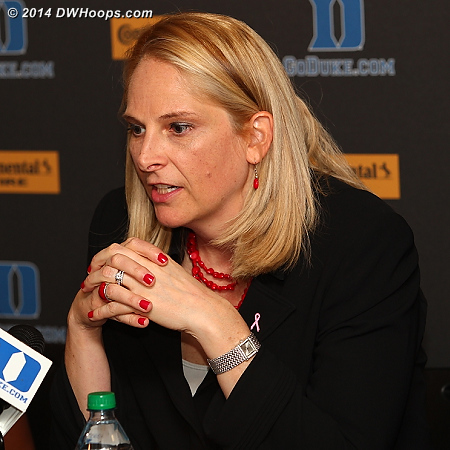 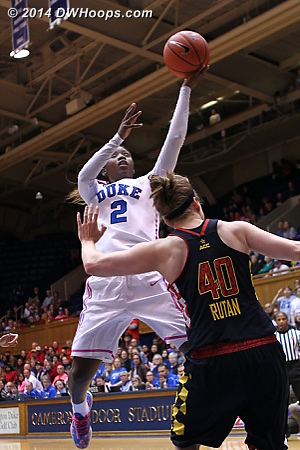 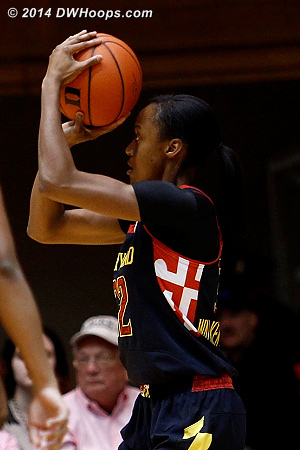 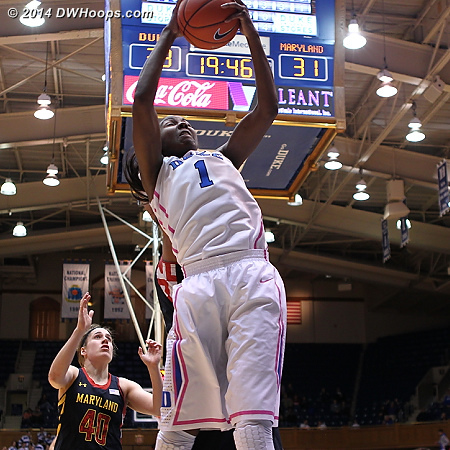 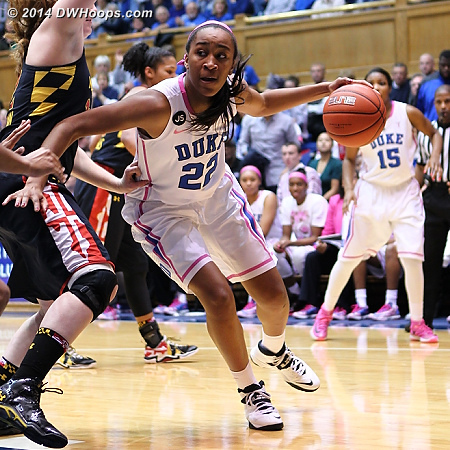 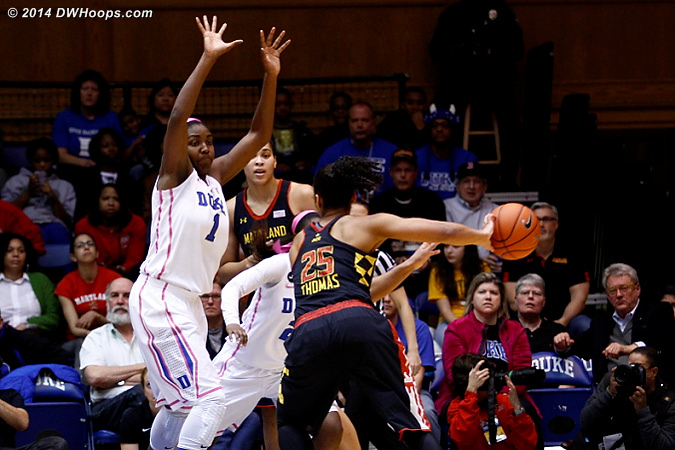 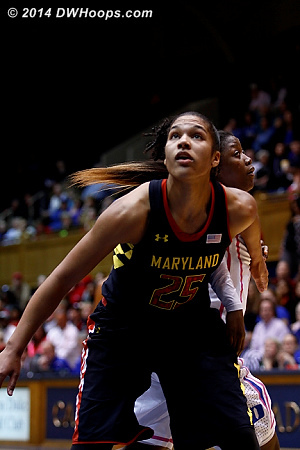 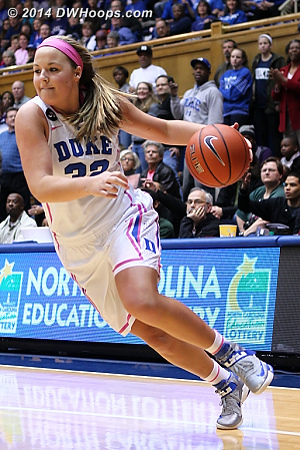 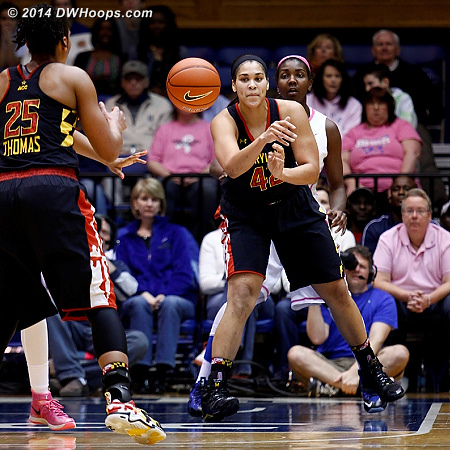 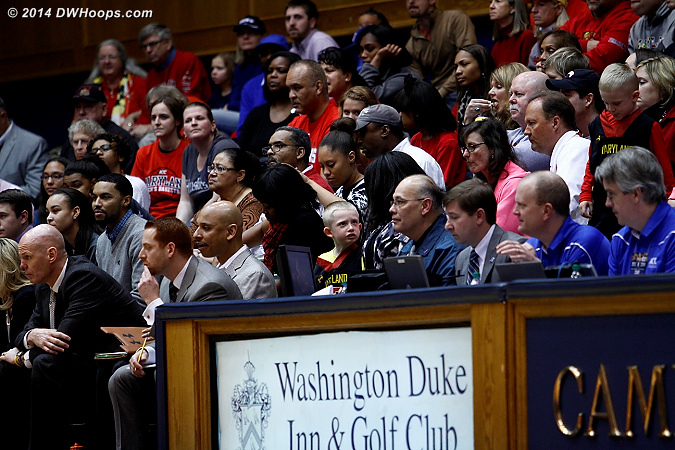 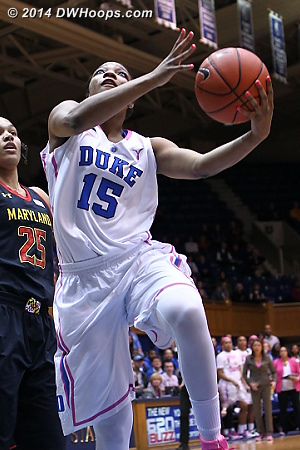 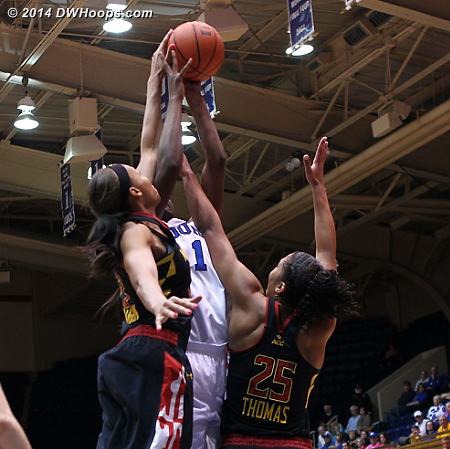 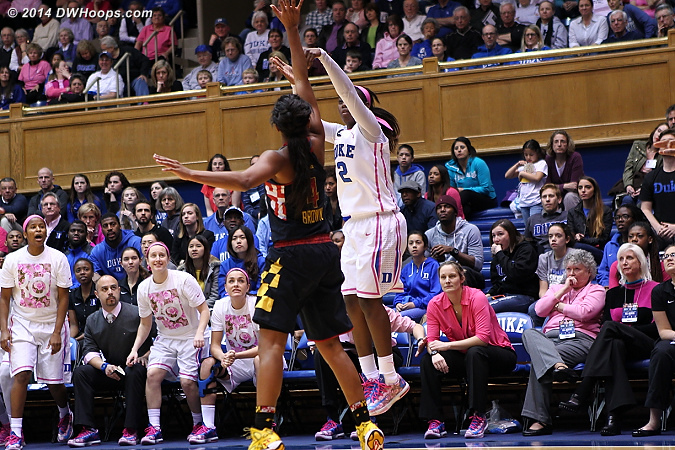 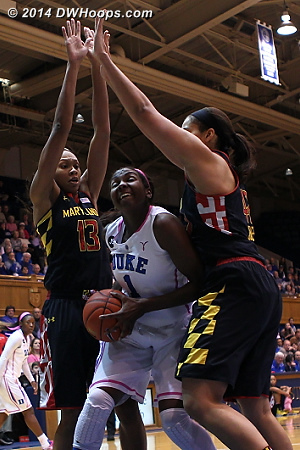 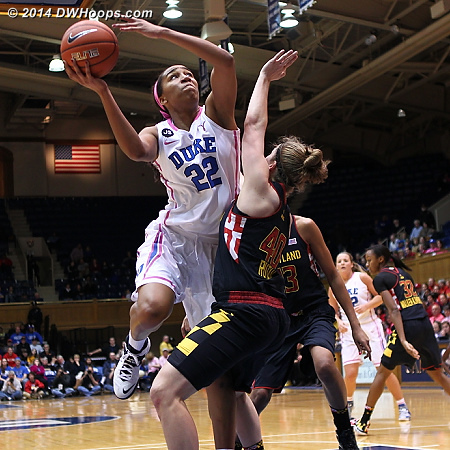 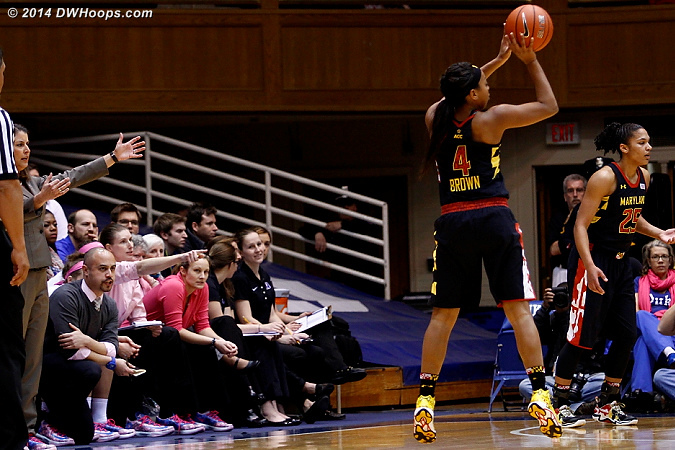 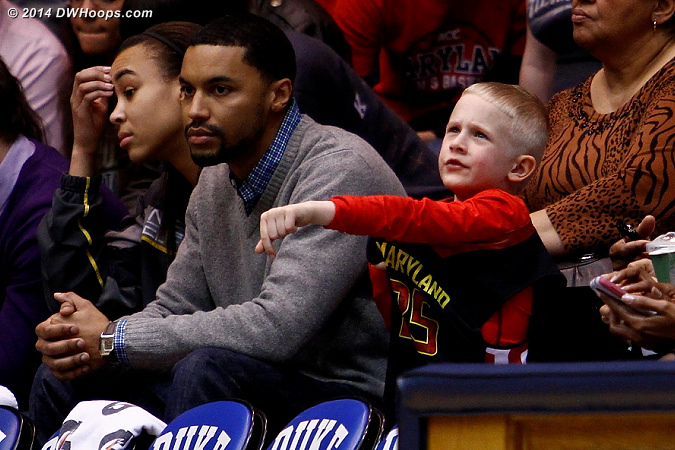 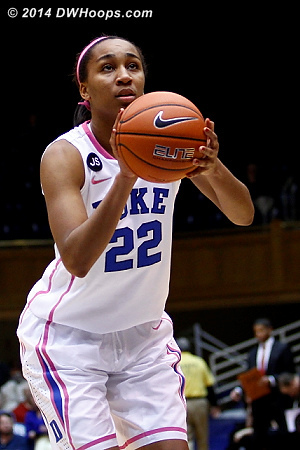 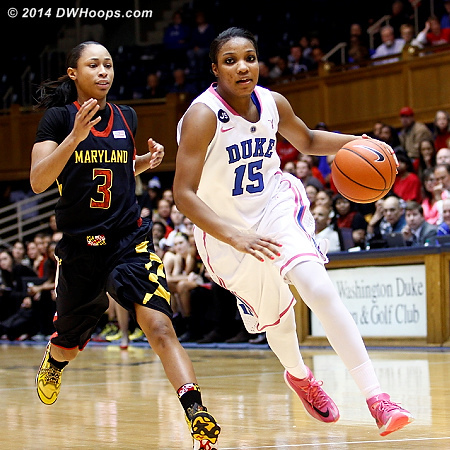 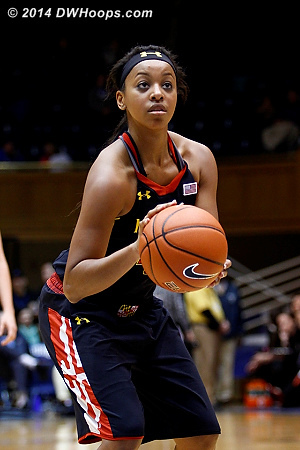 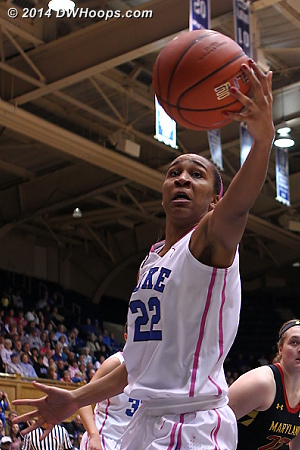 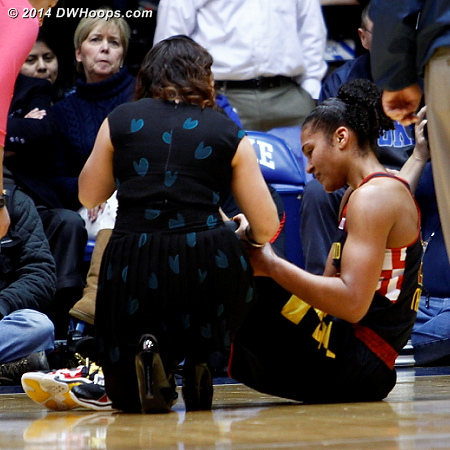 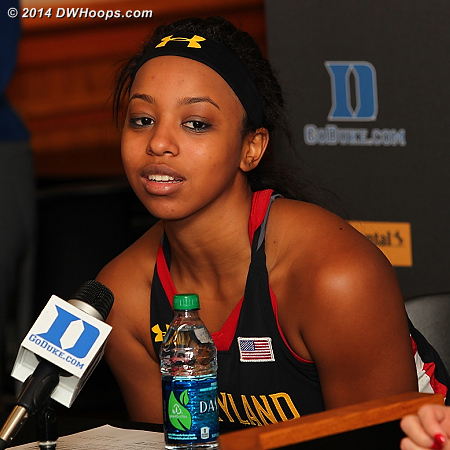 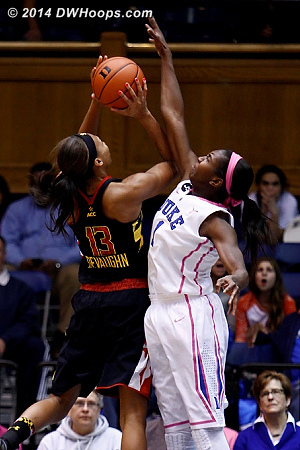 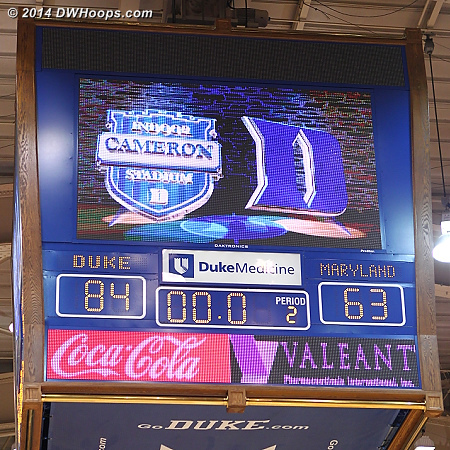 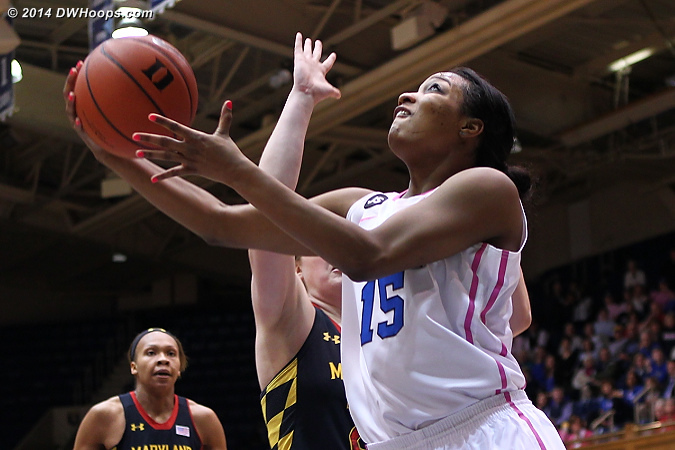 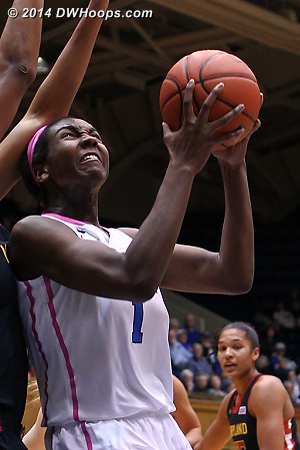 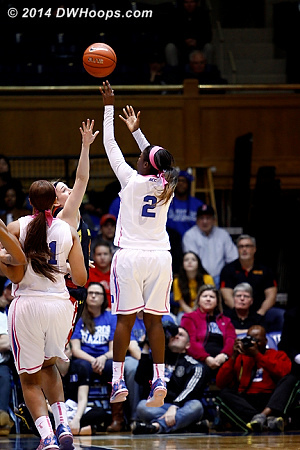 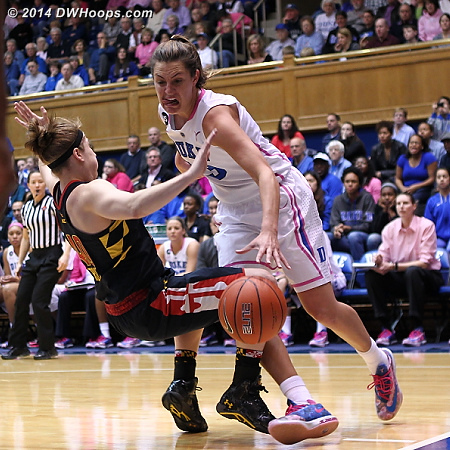 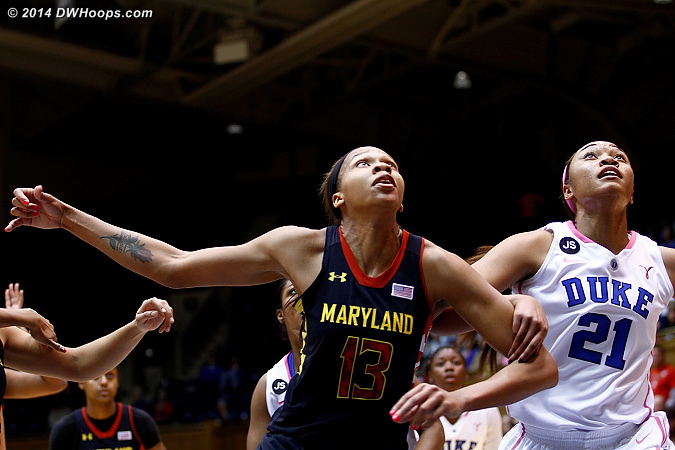 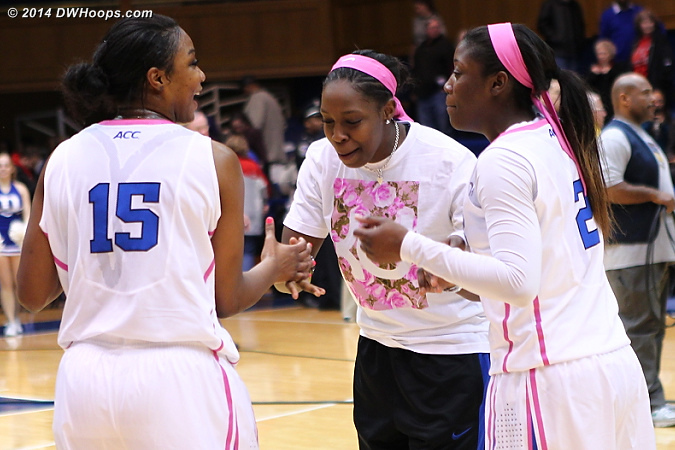 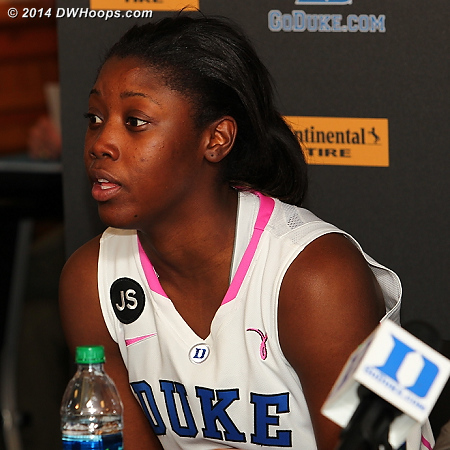 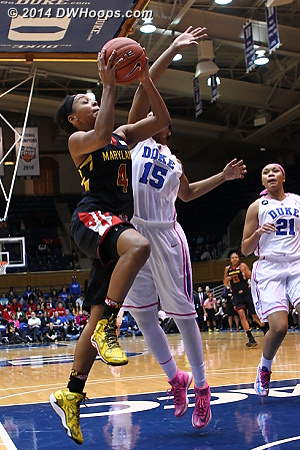 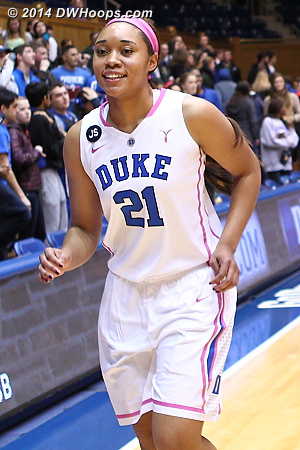 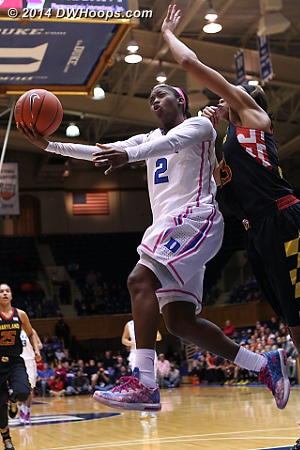 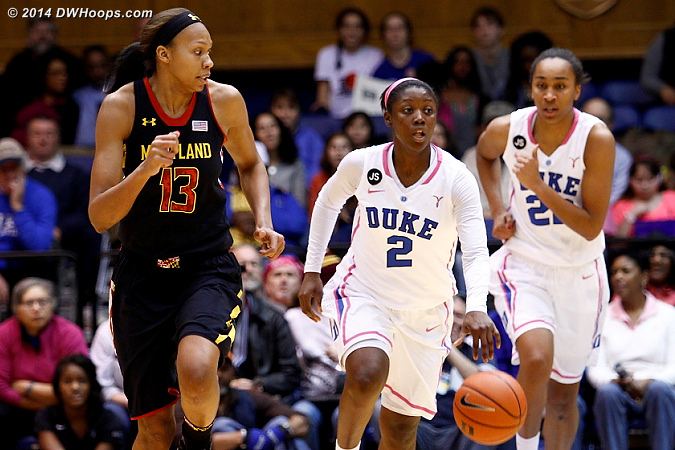 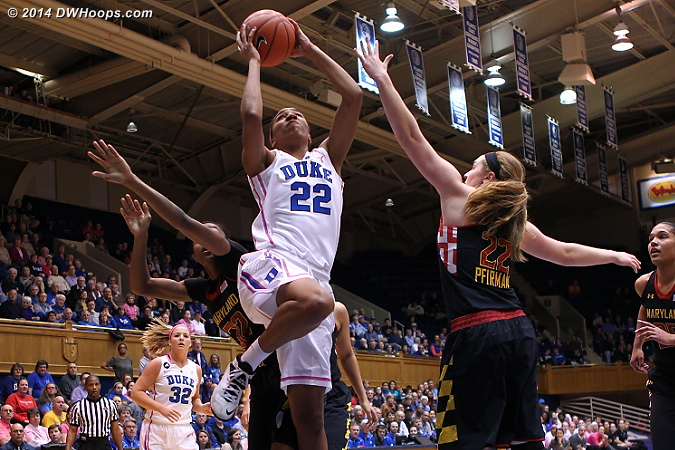 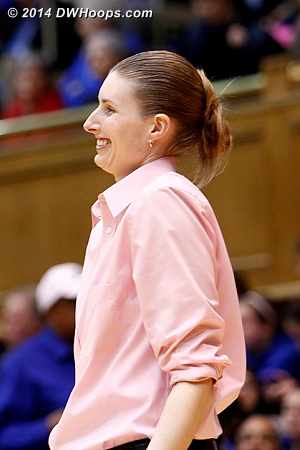 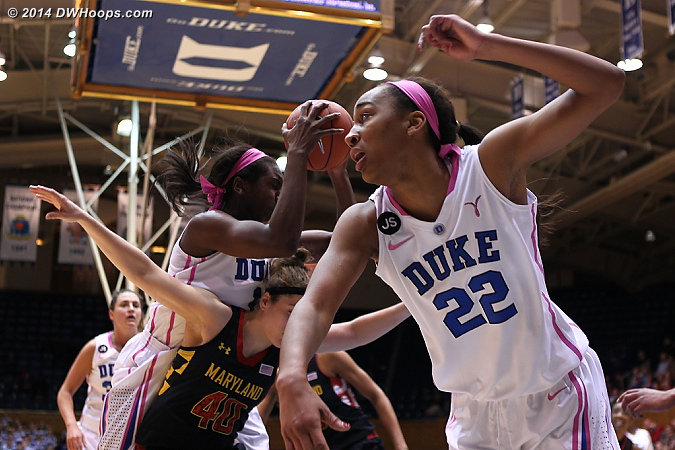 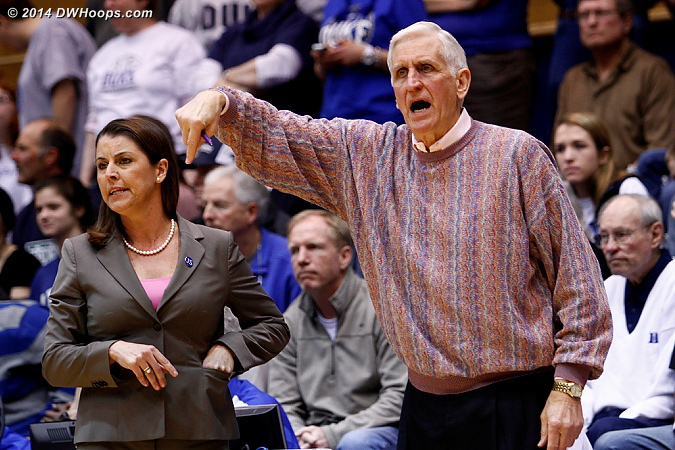 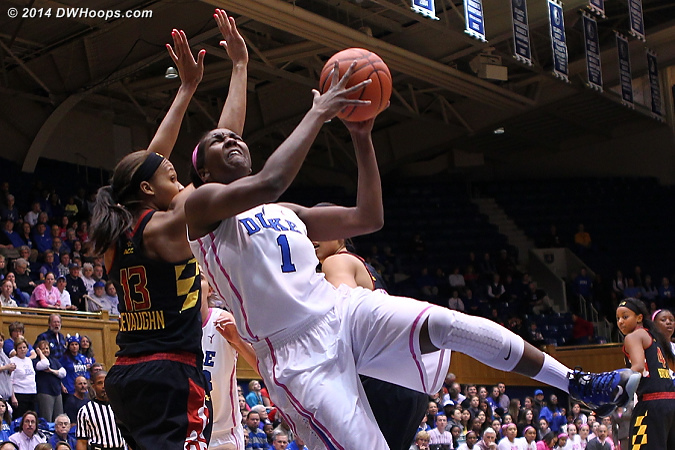 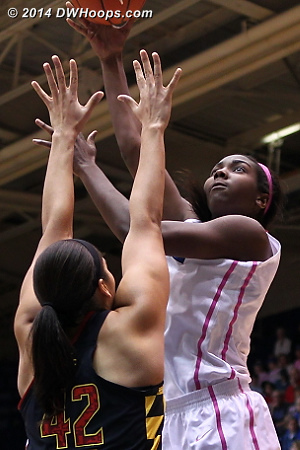 Kendall McCravey-Cooper hits from all-alone, Duke up 36-29. 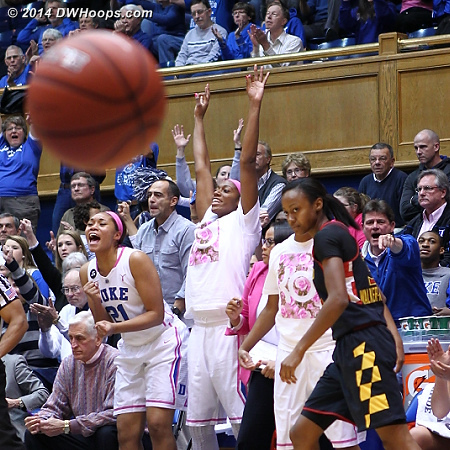 How wide open is Richa? 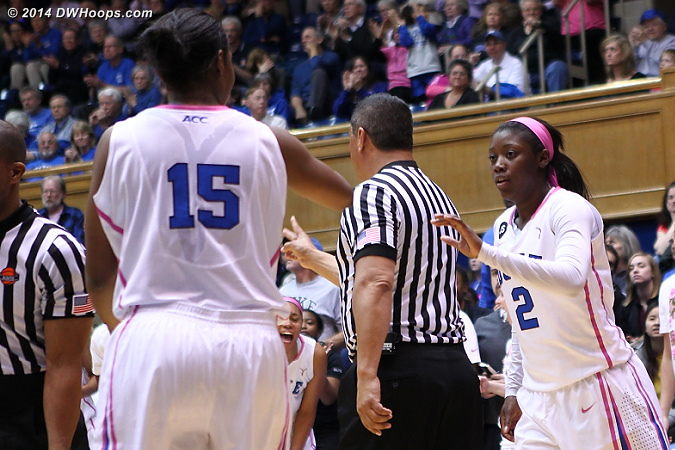 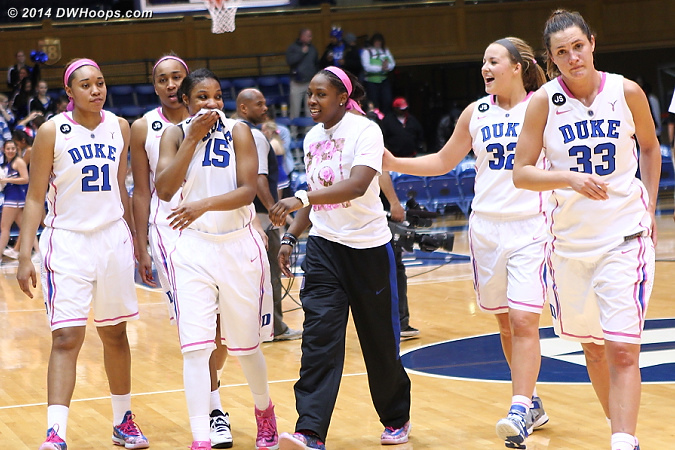 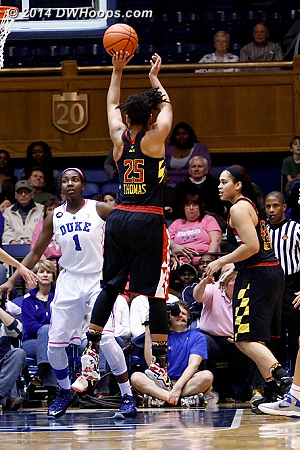 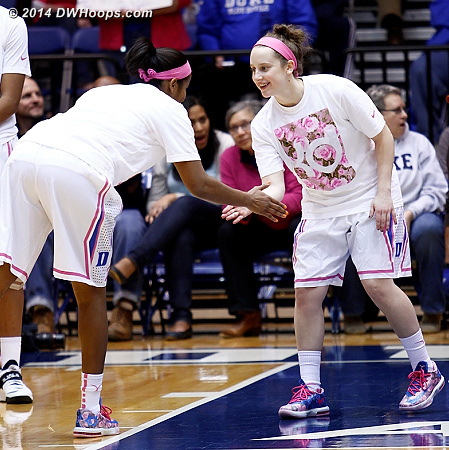 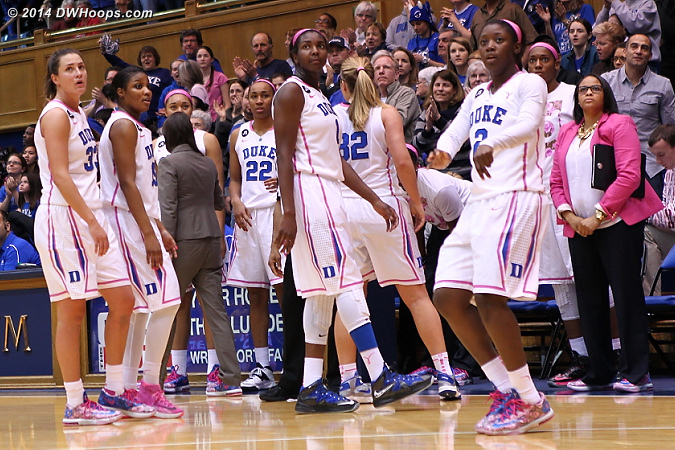 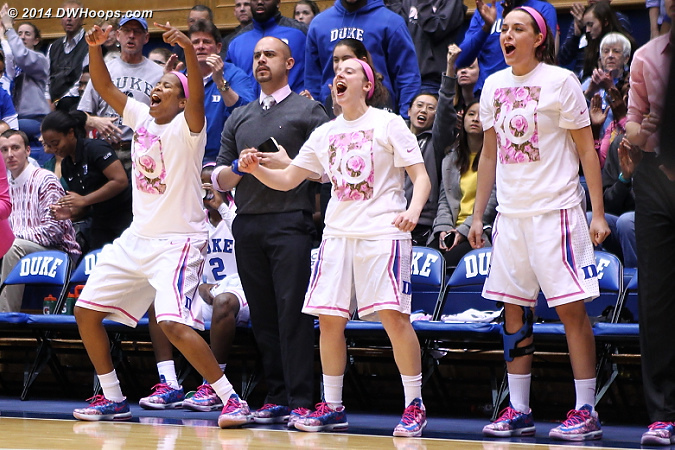 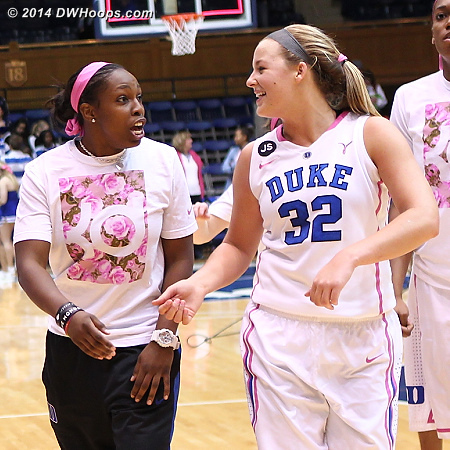 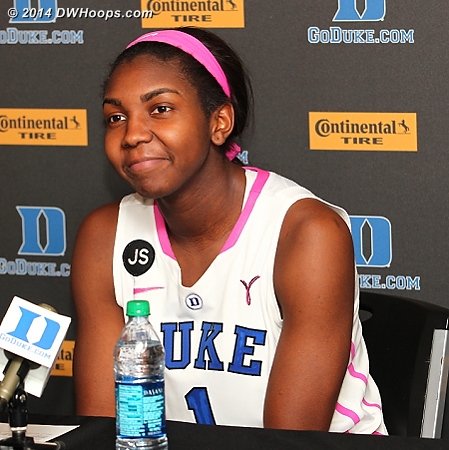 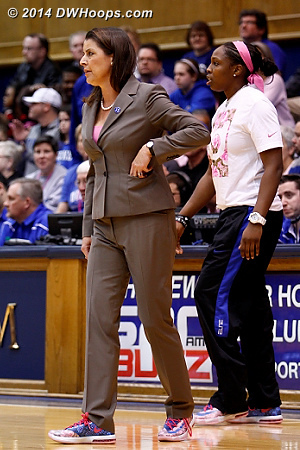 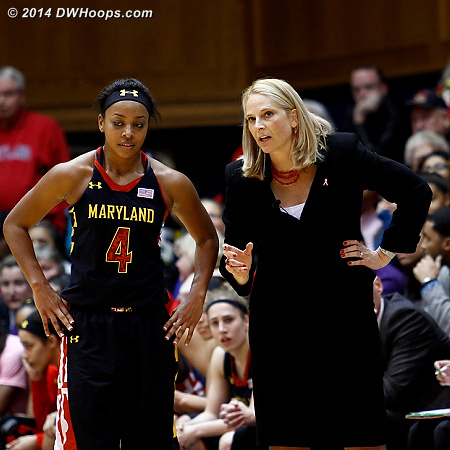 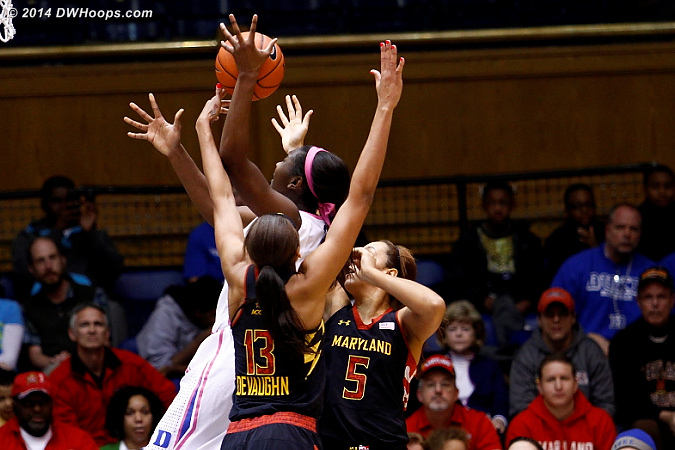 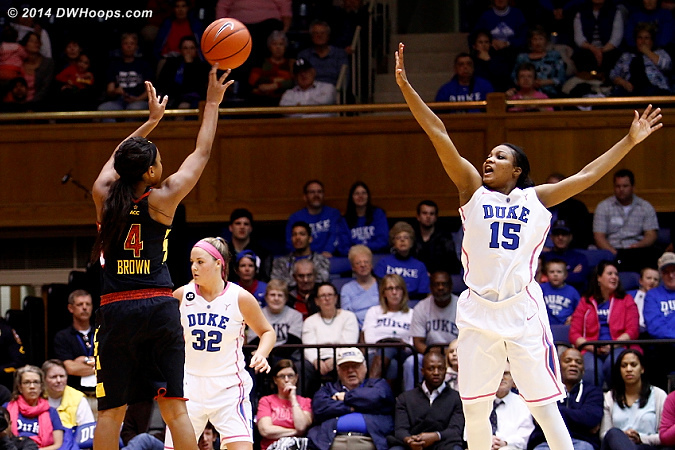 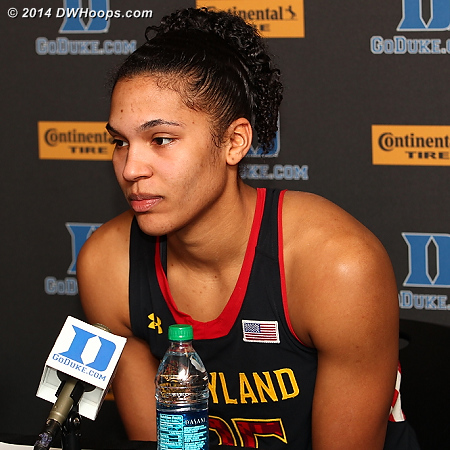 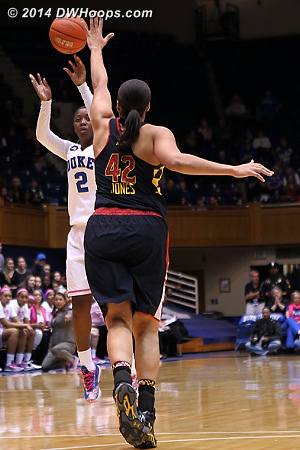 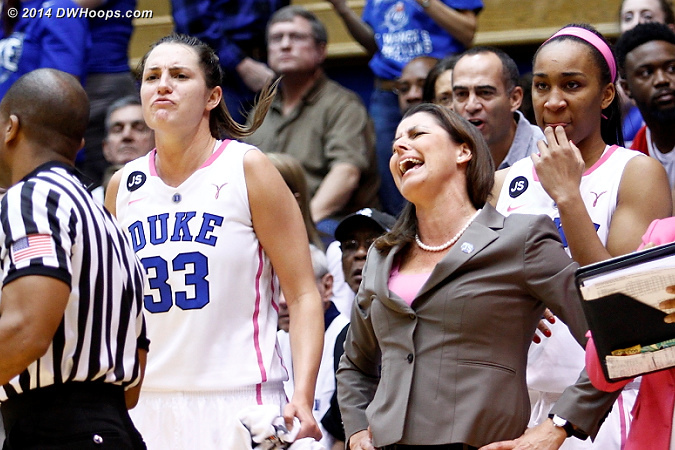 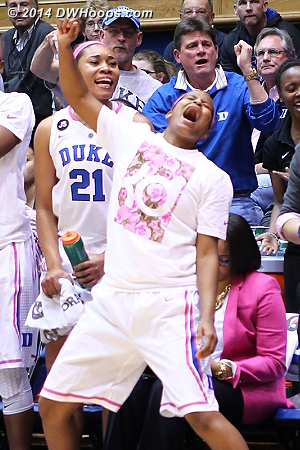 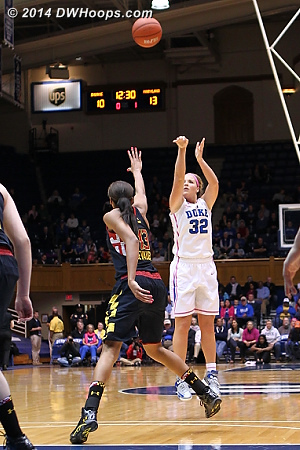 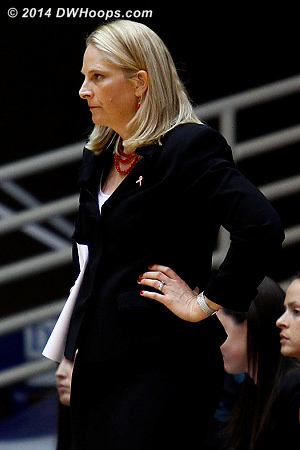 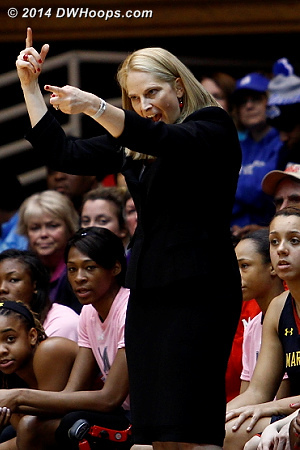 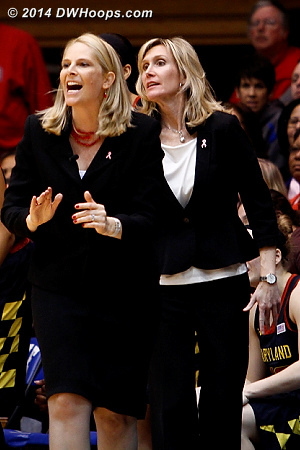 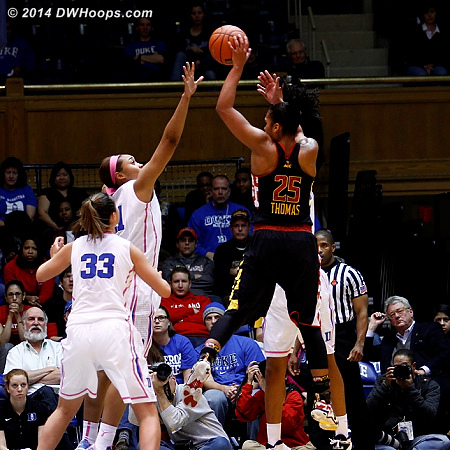 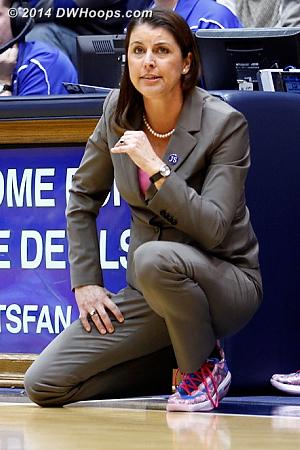 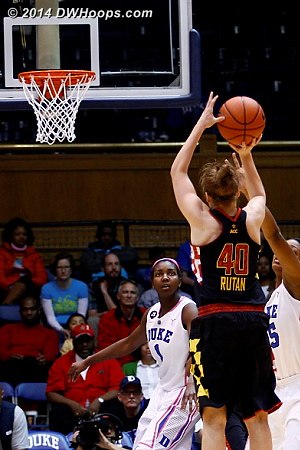 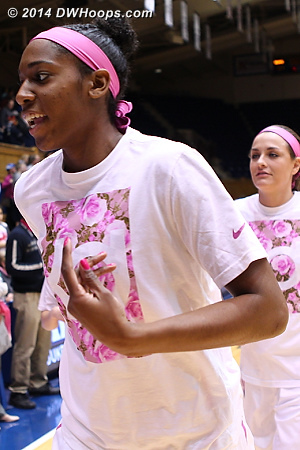 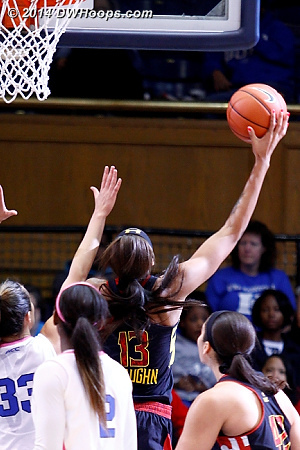 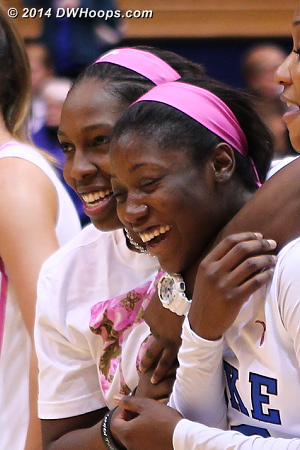 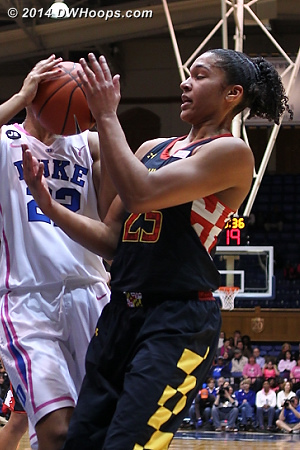 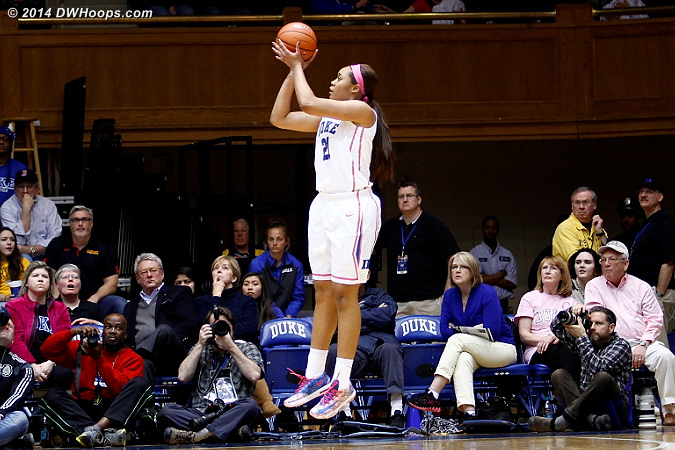 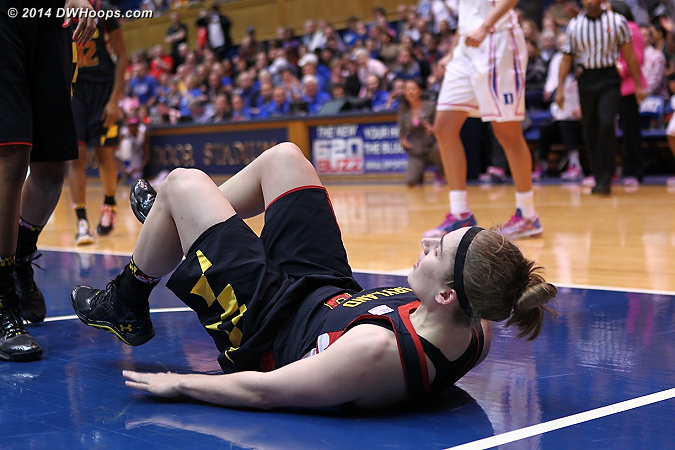 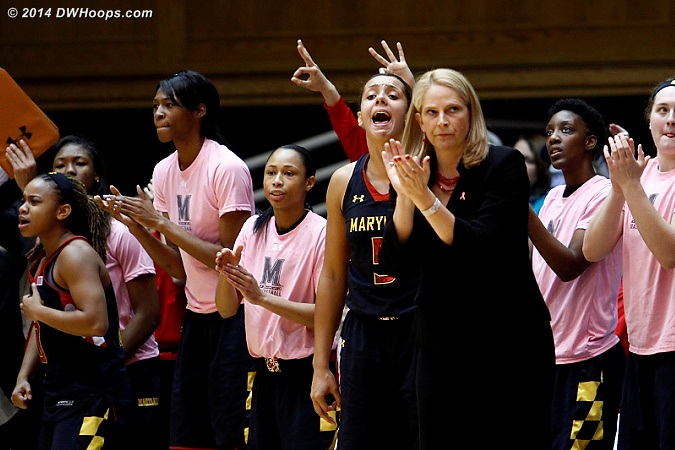 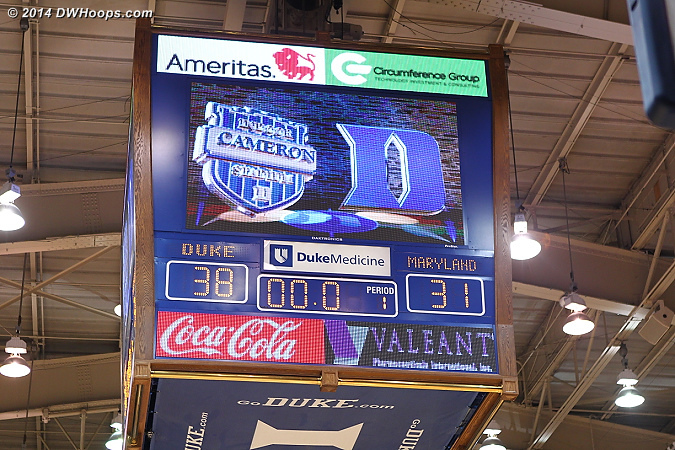 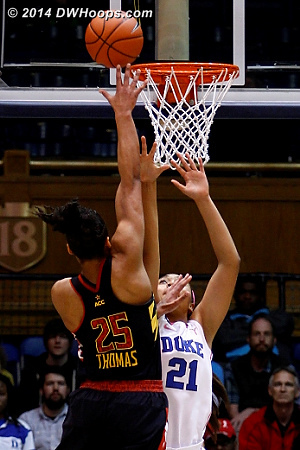 She drilled the three, Duke leads 49-39.
oops - Alexis threw it up and it went in with .3 seconds left!